Designed for the global enterprise, Cato Networks‘s SD-WAN is being deployed as an optimum replacement for piecemeal network provisions. In short, without a software-abstracted network which connects and protects, a business simply can’t grow quickly and safely. Today’s business networks depend on the ever dynamic cloud. They shouldn’t have to rely on slow roll-outs of new services – especially ones as basic as connectivity. MPLS can take weeks if not months to get installed, and once in place, MPLS is a fixed commodity service that’s difficult to utilize appropriately to get a proper return on (significant) investment. MPLS also does not suit mobile or cloud deployments, especially when cloud traffic has to flow from the edge, back into the data center for security or oversight purposes. Cato’s Cloud Network is replacing MPLS as the backbone of modern enterprises. The Cato Cloud is a global network that connects and secures a company’s sites, cloud resources, and mobile users. Enterprises connect their resources into Cato Cloud by establishing encrypted tunnels across any last-mile internet access service using Cato’s SD-WAN device, the Cato Socket, Cato’s mobile client, or agentless configuration for cloud resources. Third-party devices can also interface with Cato Cloud using IPsec. Once connected, all WAN and Internet traffic is secured using Cato Security Services which include NGFW, SWG, and IPS. 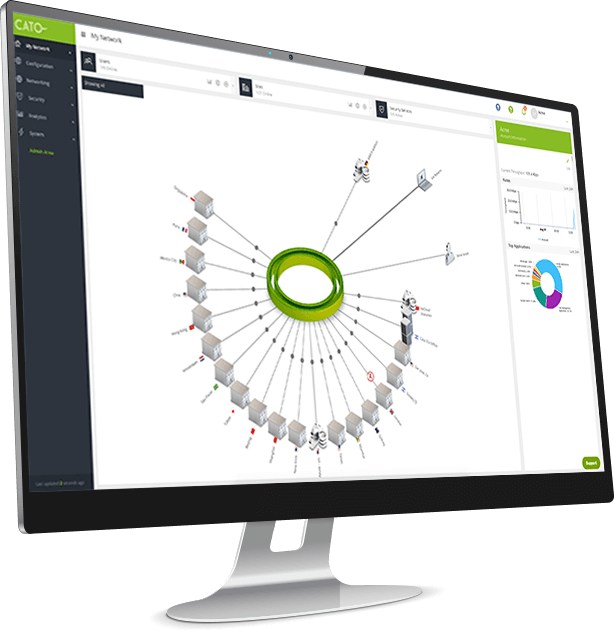 Cato Cloud allows easily configurable and secure network connectivity, across the WAN. It can also use any internet connection, so enterprises retain flexibility in selecting last-mile access methods. SD-WAN technology from Cato is, at its core, highly available and fluid. At a network level, its premise is simple, but it can be reconfigured at will, in real-time, according to priorities determined by policies or SLAs. The software-defined nature of the network also means that it is self-healing, with security layer and application uptimes preserved. The highly-distributed and complex network is configurable from a single point. From the Cato management console, resource usage can be monitored and reassigned, with priority given to, for instance, mobile users, or bare-metal applications, or any number of cloud services, or specific branch offices. Key to re-engineering any business is re-establishing the network, not as a series of problems which must be worked around, but rather an asset that can support the enterprise’s requirements. Software-defined WANs (SD-WANs) give enterprises the underpinnings which are required to help dev ops teams and application users get the best possible experience. Cato is capable of replacing MPLS altogether with its own SLA-backed network, the Cato Cloud network. That means that enterprise is not reliant on SD-WAN piggybacking on the public internet. 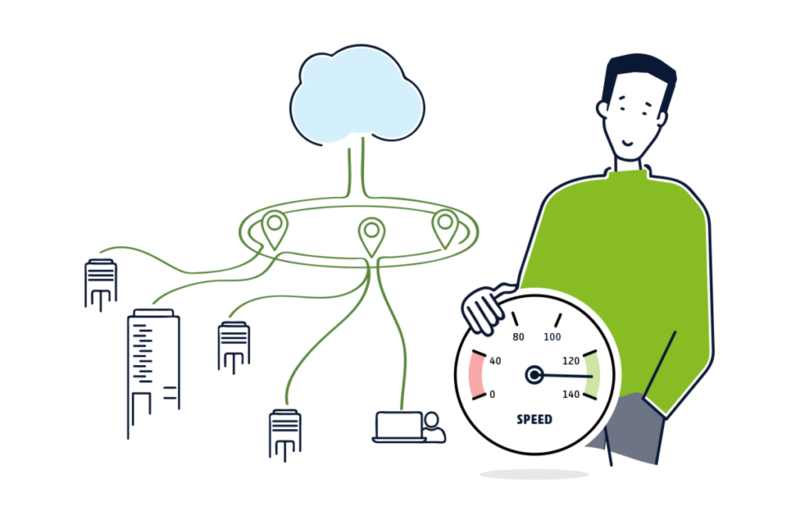 All WAN and Internet data is sent to the Cato Cloud, which means that enterprise-grade security is applied to every byte of data at all times, across all devices, from traffic to mission-critical databases to a single, mobile user’s mobile connection. Access to public cloud services is direct without backhauling through security checks behind bottlenecks. 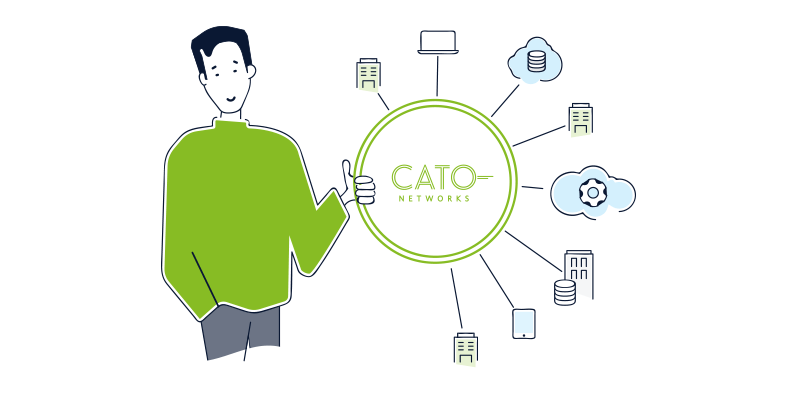 In fact, Cato Networks’s solutions are co-located in the self-same datacenters that contain the internet exchange points (IXPs) of AWS, Azure and Google’s Cloud. The dynamic path routes chosen by the Cato Cloud software ensure that uptimes are maximized right across the WAN, and the cloud-managed security systems prevent incursions. Cato’s own Research Labs inform and update the entire Cato Network. This is an SD-WAN built with security in mind, not added as an afterthought. Organizations can use the Cato’s advanced security services to augment their existing defenses, with specific possibilities including NGFWs, secure web gateways, and a broad gamut of network forensic services. In fact, the SD-WAN can be deployed incrementally – as a hyperconverged data solution may be deployed, step-by-step. In this way, enterprises can test and see for themselves the flexibility and power of Cato’s SD-WAN for their own specific services. As the enterprise grows, expands and changes over time, having a scalable network means that acquisitions or mergers can be quickly assimilated and the amalgamated whole speedily made safe and utilized to take full advantage of new resources. To learn more about Cato Network’s advanced SD-WAN that you can put at the heart of your business, get in touch with a representative today. Or, register for a demo.